At Portraits with Purpose we get requests for traditional, high quality head shots all the time. Studio portraits are great for many uses but why not kick it up a notch and consider an new and engaging environmental portrait from time to time? An environmental portrait tells a richer story about you, who you are, what you do, and the value and personality you bring to your clients and customers. Environmental portraits have a higher production value and conveys to your prospective customers that you are ambitious, quality minded, and that you care about telling them what you bring to the table. It’s a great choice for client communications, be it a printed or emailed newsletter, service updates, and business announcements. And fi you have your own business website, perfect for your About page. 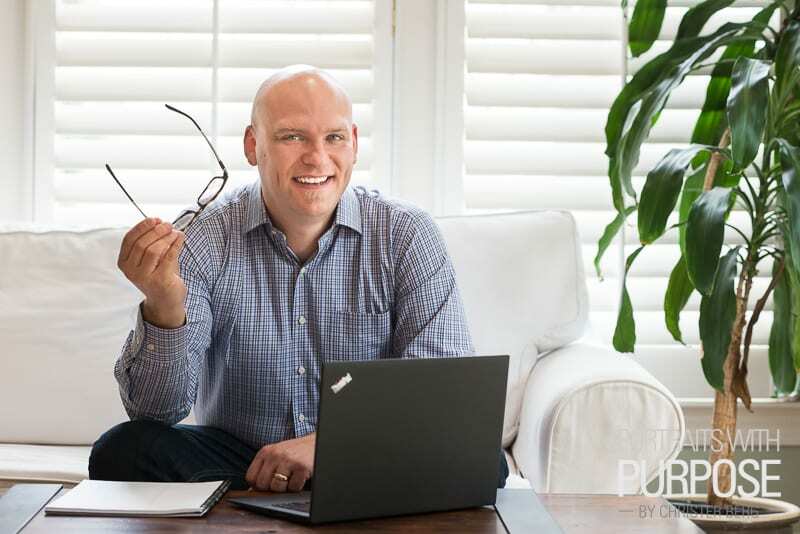 Contact Portraits with Purpose today to discuss your goals and ideas so we can help you tell a rich, customer-centric story about yourself and your offering, generating new business opportunities for you. « Order “The Fabric of” Book Today!